The 2015 Run into Health was a success!! Thank you to all our participants, vendors, volunteers, and everyone else who made this event possible. Check out our Facebook Page to see pictures of the event. 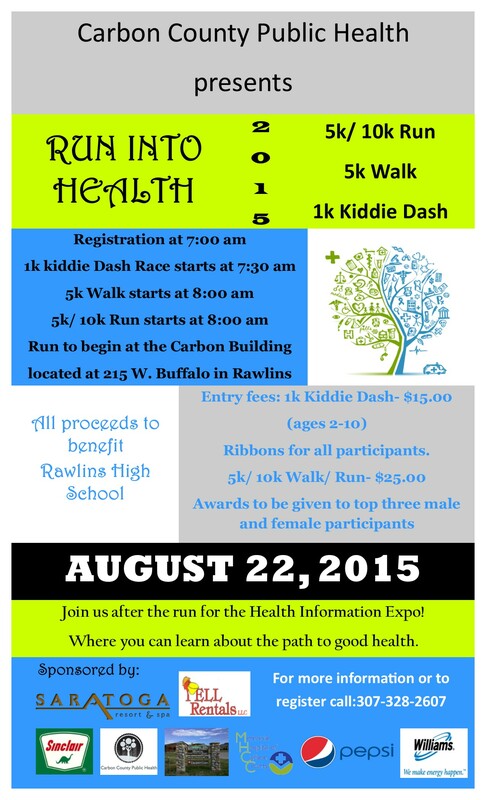 Click here to get the official times for the 2015 Run into Health.